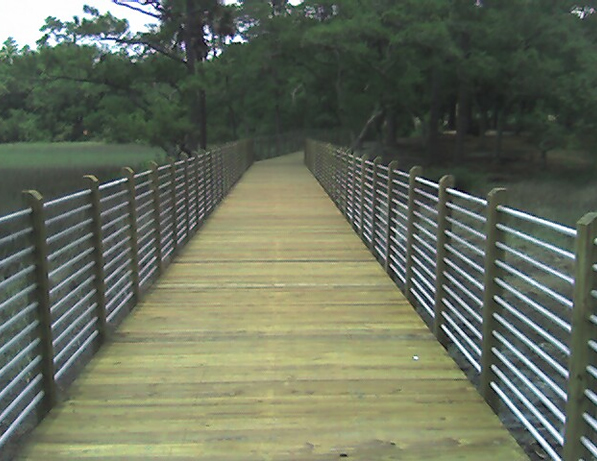 As prime contractor, IPW constructed new asphalt pavement trails and walkways throughout the Historical South Carolina Charlestowne Landing Park. 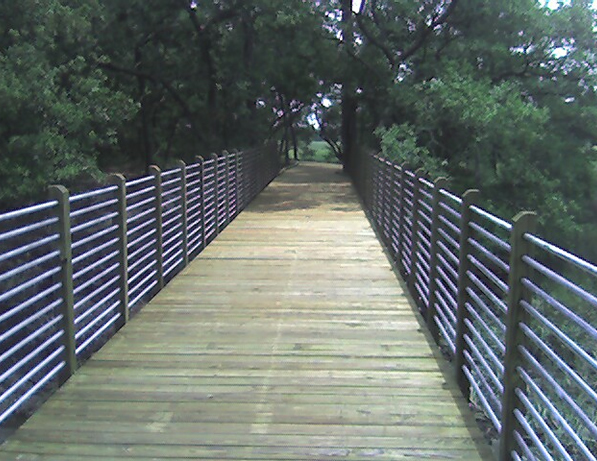 Hand placed asphalt and asphalt paving equipment used throughout park. 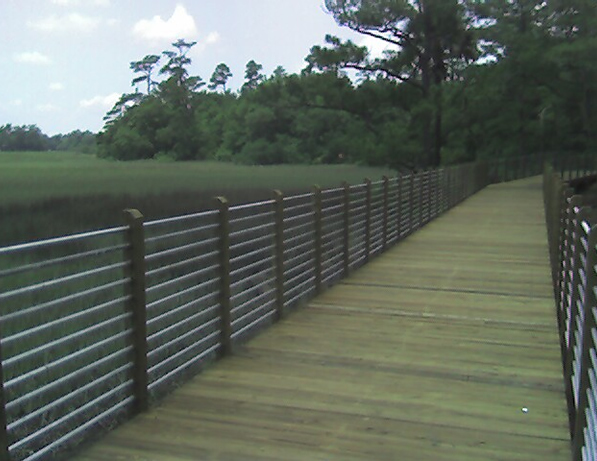 Constructed two docks crossing wetlands and multiple landscape berms throughout area. All work was performed while minimizing any disturbance to surrounding areas. Replicate and construct historically significant cannon decks for visitor viewing. Entire project required special care and minimal disturbance of surrounding areas due to the archaeological findings throughout the park.